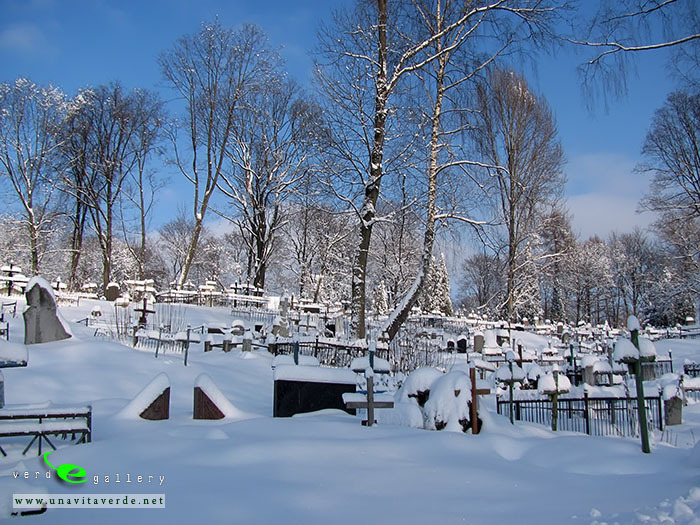 Cemeteries of Minsk photos. 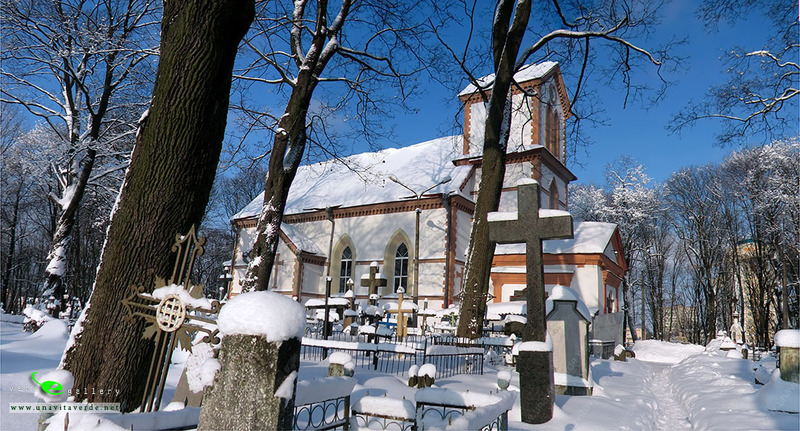 Calvary Chapel. 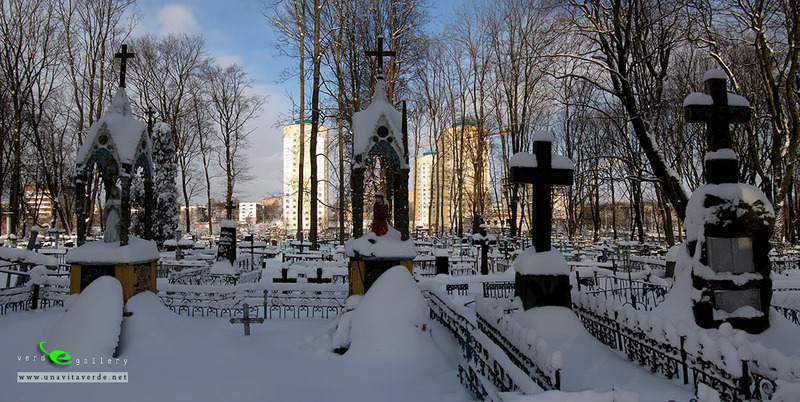 Cemeteries of Minsk. 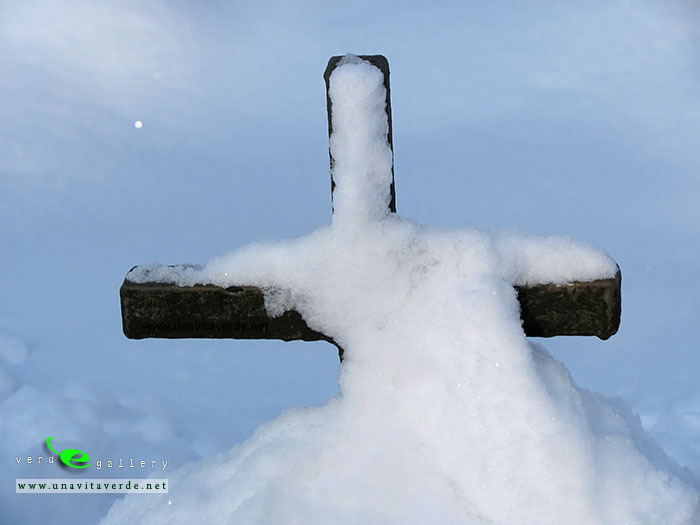 Calvary Chapel. 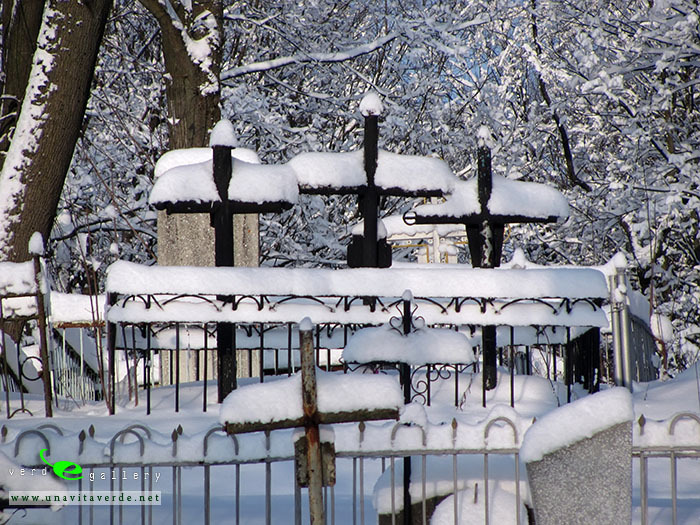 The only Catholic Church serving in the Soviet times was the church on the old Calvary cemetery. 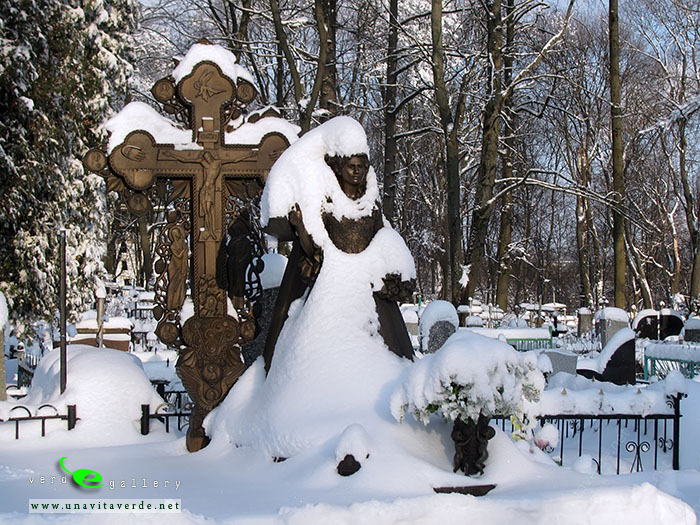 Certainly, the church couldn’t seat all believers; on holidays, crowds of Catholics gathered on the main avenue of the cemetery, leading to the church. 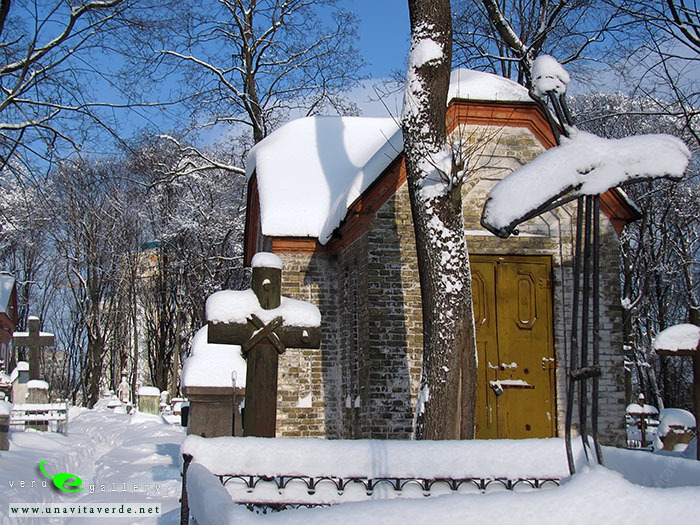 Meanwhile the temple on this place appeared in 17th century. 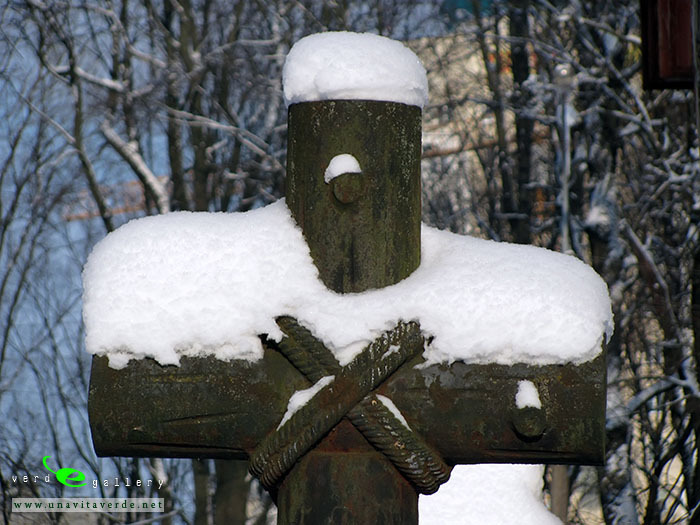 Then it was made of wood and was called « Exaltation of the Cross ». 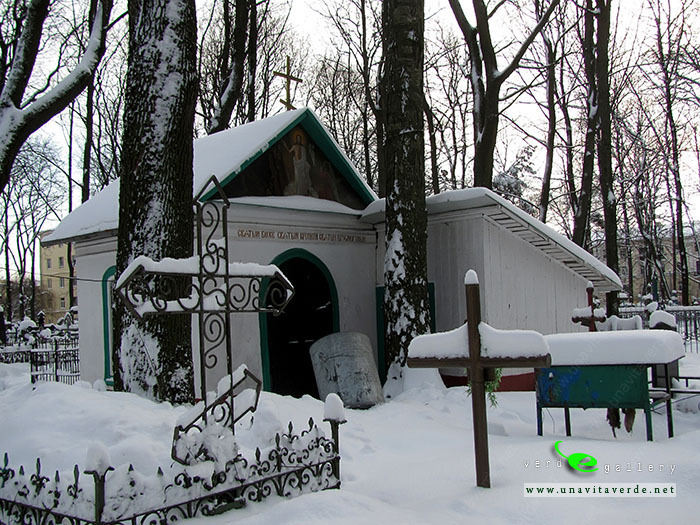 The matter is that Catholics of Belarus, Poland and Latgalija (the part of the old Latvia) had a custom to erect The Calvary churches on picturesque places, (The Calvary – from the Latin “calva” – a skull, in Greek, a place, where the Christ was crucified.). 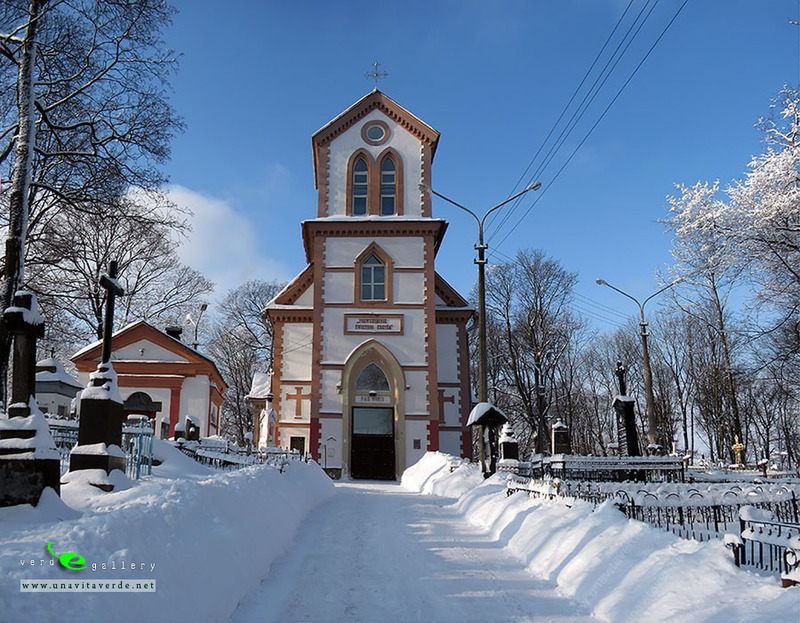 At the beginning of 19th century The Calvary church was reconstructed of wild quarry-stone, in the Neo-Gothic style. 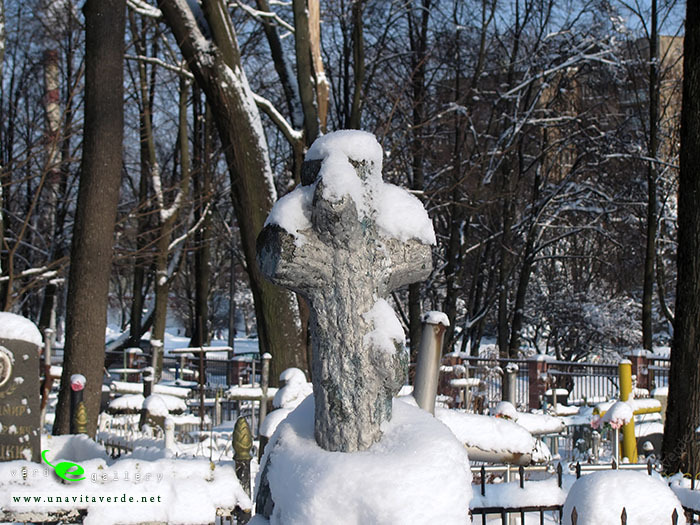 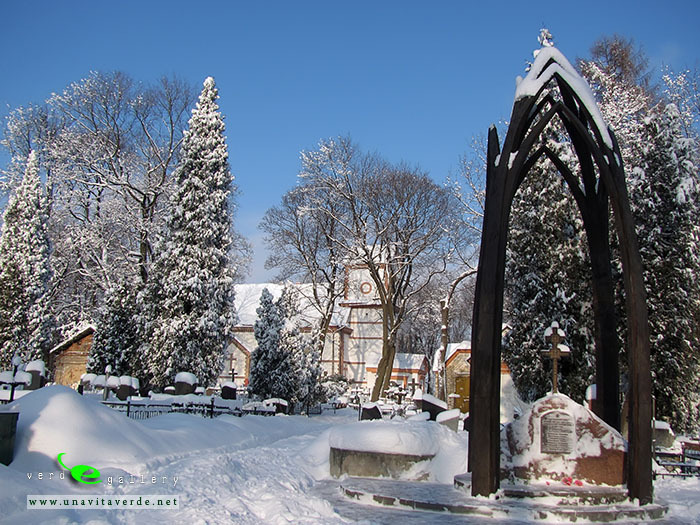 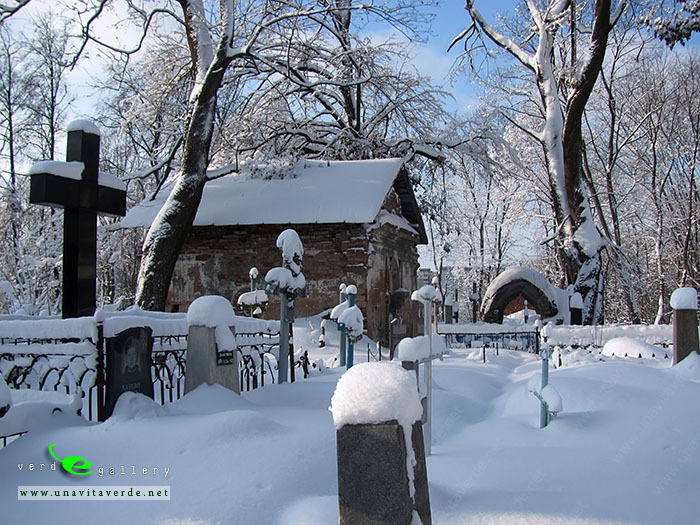 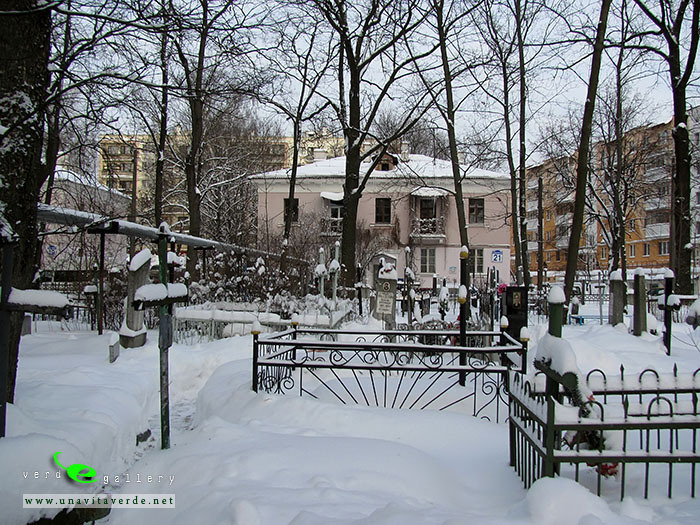 The cemetery which arose around the church, gave last shelter to the most well-known townspeople of Minsk, both Catholics, and people professing other religions. 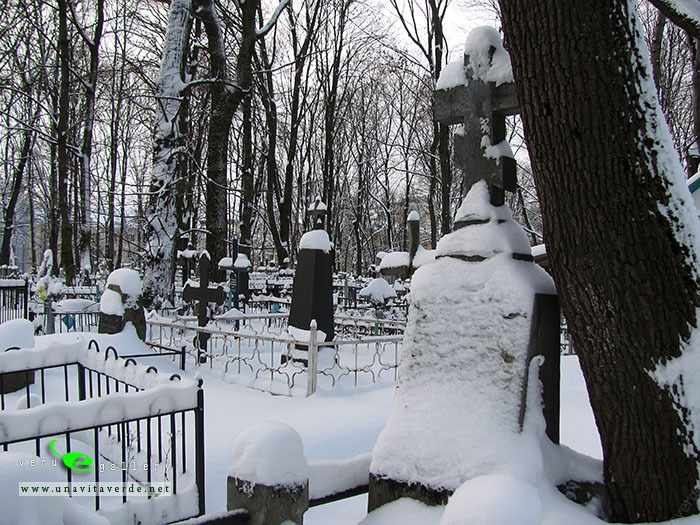 In 1967 it was closed for new burials. 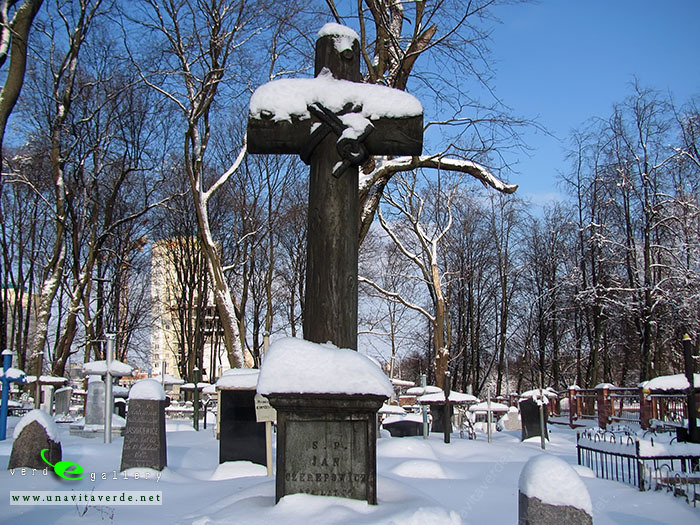 But at the end of 90th the city authorities allowed to use it for burials on a commercial basis. 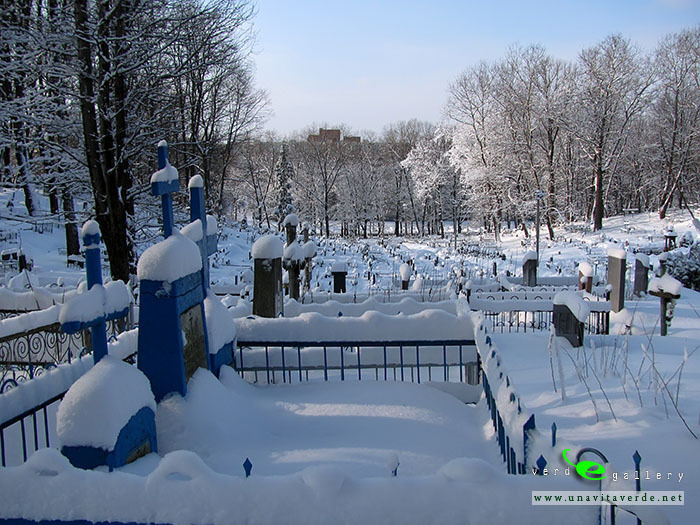 In 2001, the cemetery became the center of a controversy when it was revealed that the state-run company responsible for taking care of the graves was quietly destroying old graves and selling the newly freed slots to the wealthy. 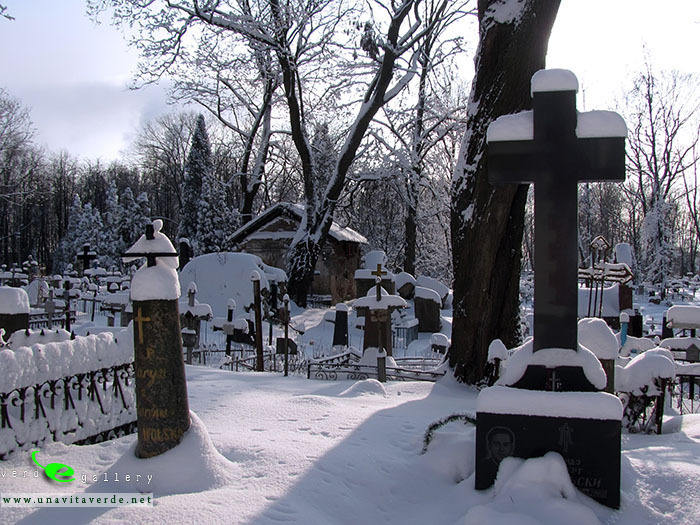 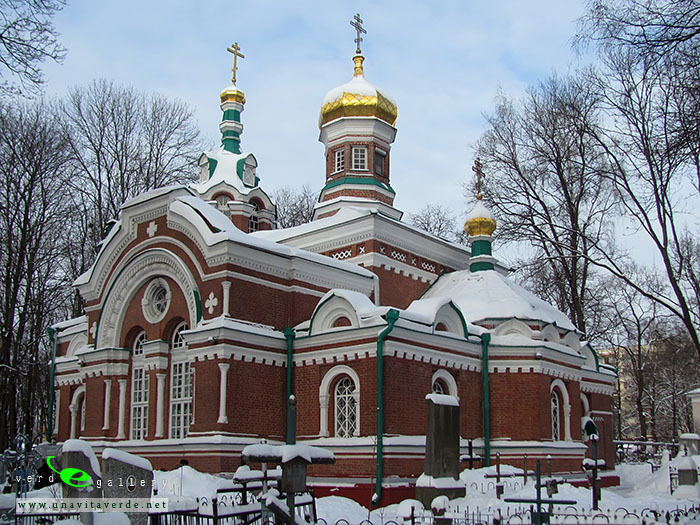 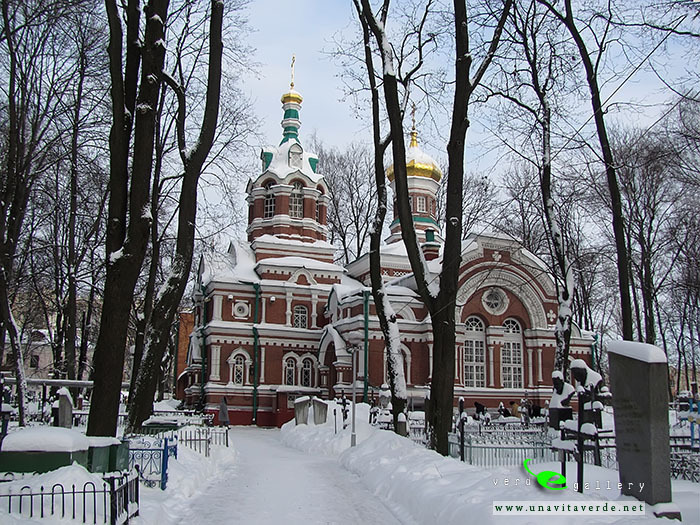 First opened in 1840 and moved to its current location in 1895, the cemetery contains the war dead from countless campaigns from the Russo-Turkish War of 1877-1878 to those who fell during the Great Patriotic War. 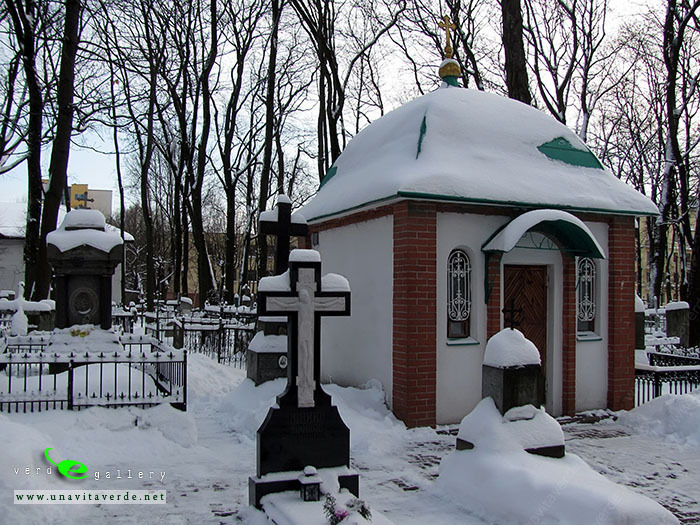 The cemetery also contains the graves of several notable figures in Belarusian culture including that of the poet and writer Yanka Kupala (1882-1942), whose name crops up in several places around the capital. 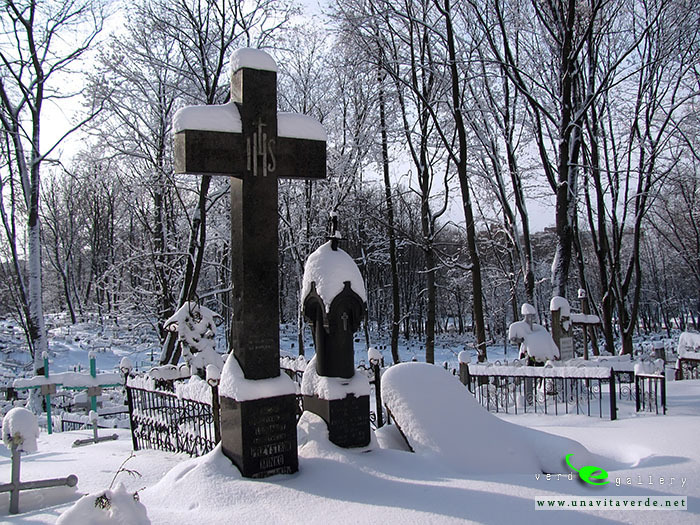 Pictures and panoramas of Minsk Calvary cemetery photo gallery and Military cemetery taken at 19 of January, 2013. 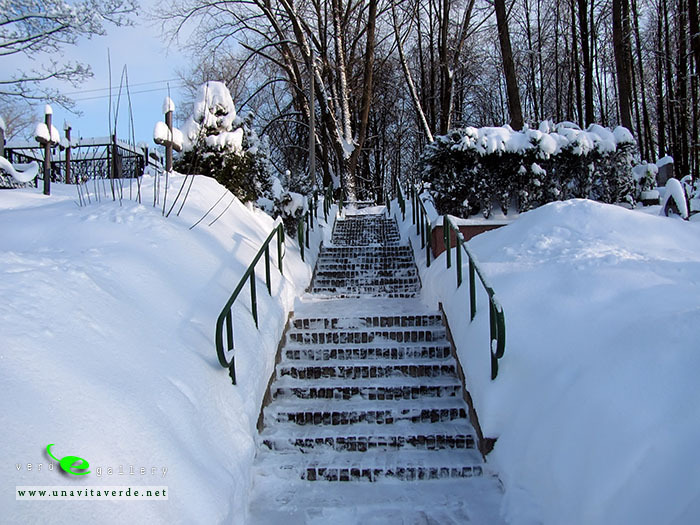 Next Amazing marshs. 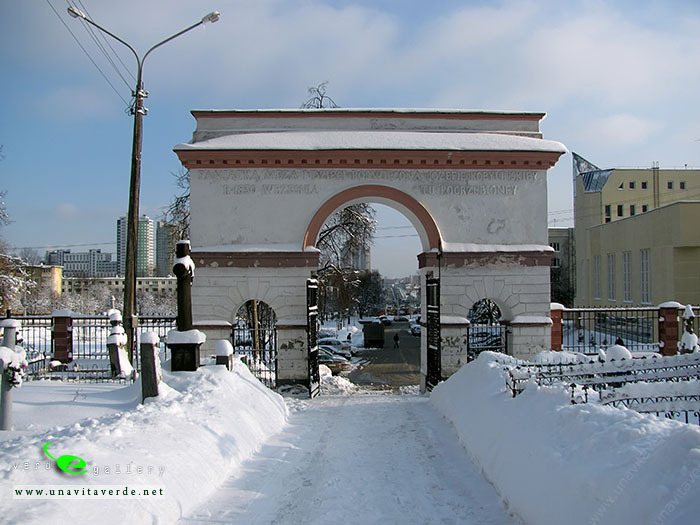 Lakes at old peateries.